The CAASPP (California Assessment of Student Performance and Progress) testing window will be determined. Students in grades 3 through 5 will be tested in English Language Arts and Mathematics. Testing is completed on computers during school hours. Fifth graders will take an additional paper test on Science. Please ensure your students are getting a good night’s sleep and eat a healthy breakfast in the morning during testing time. It is extremely important that your child arrives on time to begin the testing. Absolutely no electronic devices are allowed in the testing room at any time. Also, this test is not only an indicator of each individual performance but is also a reflection on our school’s overall success and growth. 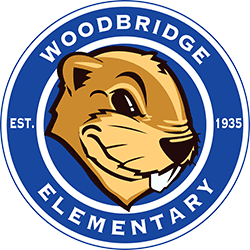 Remind your child to do their best and have Woodchuck pride! For your student’s specific testing schedule, please see the dates below, or ask his or her teacher. Grade level testing dates are also posted on the calendar on this site. Woodbridge will begin CAASPP testing on April 2nd, 2019. We will testing Language Arts the weeks of April 2nd-April 12th. We will be doing the CAST (5th grade science test) April 24th-April 26th. Math will be April 30th -May 9th. For more information, or if you have additional questions, please email our testing coordinator, Deborah Schumann, at dschumann@rcsdk8.org. For additional resources and information on the CAASPP test, review the related links to the right.